Google launched a new concept for Gmail Inbox. 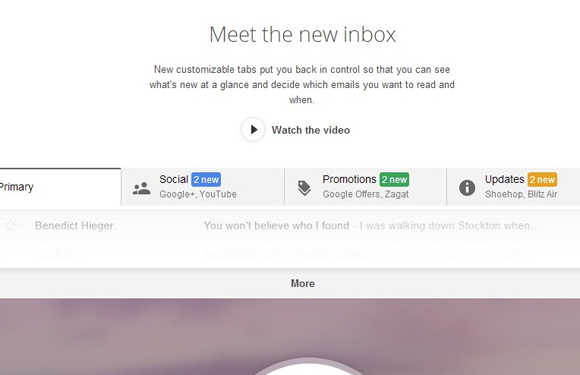 Tabs, which lets you control better your email separating your inbox in sections. All social email with be grouped, promotions emails, forums or subscriptions alerts. Now reading email is much better on Gmail. Gmail Tabs are not enabled by default, but you can activate in a very easy way. 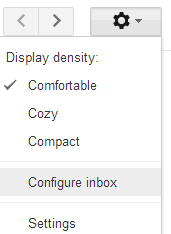 On your Inbox, right side you will find the Settings button, click on it and select Configure Inbox from drop down menu. From the popup windows select all check boxes and Save settings. 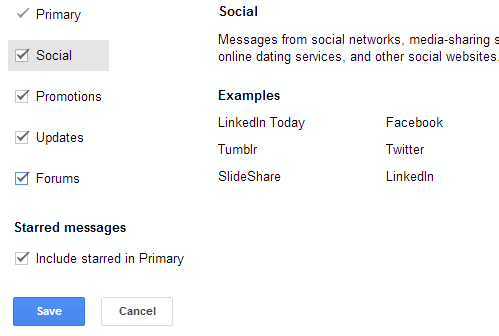 A welcome message will be displayed and now you have the new Gmail tabbed design. 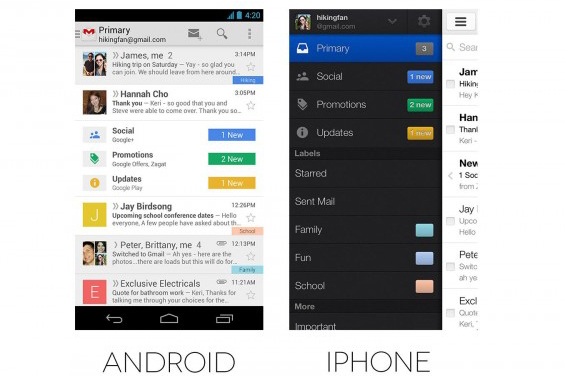 If you run Gmail on Android or iPhone, update to the latest version to get the new design too.